Get a free, no obligation consultation regarding your traffic ticket, speeding ticket or other traffic violation. If You Receive a DUI After Hours, on the Weekend or on a Holiday, Text or Call 706-780-5586 ASAP! 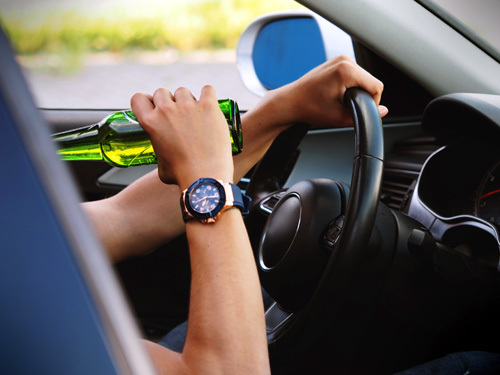 Driving under the influence (DUI) is one of the most frequently filed criminal charges against citizens of the United States by state and local governments. A conviction for DUI can have severe consequences. In addition to fines, jail time and loss of driving privileges, in some instances, a person may have their name and face displayed in the local newspaper. This can be embarrassing to you or your family and potentially have a negative impact on your employment. Local and state law enforcement agencies spend millions of dollars enforcing DUI laws but that does not mean that they always get it right. If you have been charged with DUI it is important to act quickly and understand the rules related to your case. Mr. Ferguson is a member of the National College of DUI Defense. As a former federal prosecutor and experienced DUI defense attorney, he and his team are well-equipped to aggressively defend you or your loved one against this charge in courts throughout Georgia. At the time of arrest for any DUI, the arresting officer will often file and serve the arrested driver with DD-1205 which is a notice of administrative suspension of the arrested driver’s license. This form initiates a proceeding that is entirely separate from the criminal charge of DUI. An arrested driver only has 30 days from the date on which the DD-1205 is served to request a hearing in order to protect his/her driving privileges. If an arrested driver fails to file such a request, his/her license will ultimately be suspended. The officer fails to show up for the administrative law hearing and the administrative law judge grants Mr. Ferguson’s request to dismiss the proceedings. If, however, a hearing is required, the administrative law judge may still determine that suspension of an arrested driver’s license is not legally proper. This does not automatically mean that criminal charges for DUI will not proceed. As stated previously, this administrative hearing is entirely separate from the criminal charges and only relates to the arrested driver’s privilege to drive. If the administrative law judge determines that an arrested driver should have his/her license suspended based on the evidence presented, the arrested driver’s license will usually be suspended, at a minimum, for the entire time that the separate DUI criminal case is pending. The key thing to remember if you have been arrested for DUI is that you need to contact Mr. Ferguson immediately. The consultation is free. Mr. Ferguson is aware that DUI arrests are most common on holidays and weekends. Therefore, he makes himself available for free DUI consultations 24/7. Text or call the number above and he will discuss your case with you immediately. DUI per se is the easiest for most people to understand. If an arrested driver’s blood alcohol content (BAC) is greater than .08 grams and there is proof that the defendant consumed alcohol prior to operating a motor vehicle, then he or she is guilty of DUI per se. DUI per se does NOT require the prosecutor to show that the arrested driver was actually impaired. However, if you have only been charged with DUI per se this does not automatically mean that you are guilty. A skilled Georgia DUI attorney may still be able to attack you case if, for example, the initial traffic stop was not valid, the testing was not properly administered or Georgia implied consent was not provided in a legally accepted manner. Always remember that DUI per se does not mean that you are automatically guilty. You have options and you need to contact Mr. Ferguson immediately. The consultation is free. The police are not required to prove that the driver had a blood alcohol content (BAC) of .08 or greater. Thus, DUI less safe is, practically speaking, often harder for prosecutors to prove that DUI per se. The validity of the charge can only be determined after Mr. Ferguson is able to discuss the case with you personally and review the evidence. If the state is able to prove that a person was under the influence of a drug while driving, he or she may be charged with DUI-Drugs. Driving under the influence of drugs may be charged as a result of prescription drug use or illicit drug use such as marijuana, cocaine or methamphetamine. The fact that an arrested driver has a valid prescription for the drug used is not usually a defense to the charge. Georgia courts take the position that you should not drive impaired, even if you have a medically valid reason for using the drug. Note, however, that the police and prosecutor must submit evidence of impairment, similar to a DUI less safe related to alleged alcohol use. Also, if your case involves the use of marijuana pursuant to a valid medical prescription this may completely change the analysis in your case and you should contact us immediately. The penalties in Georgia for DUI are quite severe and increase based on the number of DUI charges that an arrested drive has received within a 10-year period. A minimum of 24 hours in jail, up to 12 months in jail, with the remainder of 12 months on probation. A fine of not less than $300, but not more than $1000, (plus fees and surcharges). A minimum of 40 hours of community service. The driver must undergo a clinical evaluation for alcohol and/or drug abuse, and the driver must complete any treatment recommended by the evaluator. The driver must complete a DUI Risk Reduction course. A 12 month driver’s license suspension. A minimum of 72 hours in jail, up to 12 months in jail, with the remainder of 12 months on probation. A fine of not less than $600, but not more than $1000, (plus fees and surcharges). A minimum of 240 hours of community service. At the conclusion of the driver’s license suspension, the driver must install an ignition interlock device on all cars owned by the driver. Publication of photo in newspaper of driver’s county of residence. A minimum of 15 days in jail, up to 12 months in jail, with the remainder of 12 months on probation. A fine of not less than $1000, but not more than $5000, (plus fees and surcharges). A mandatory five year driver’s license revocation. Surrender of license plates for any car registered to driver. A minimum of 90 days, up to five years in jail, with the remainder of five years on probation. No less than 480 hours of community service, (unless the defendant is sentenced to at least three years in prison). A conviction for DUI on four or more occasions within 10 years is considered to be a felony offense and is reported as such. In Georgia, a person who commits a DUI while transporting a child under the age of 14 is considered to be guilty of a separate crime of DUI-Child Endangerment for each child under the age of 14. Therefore, a person who commits a DUI while transporting two minors under the age of 14 may be considered to have 3 DUI charged within 10 years for sentencing purposes. A DUI for a person hold a commercial vehicle license may have a devastating impact on his or her employment. In Georgia, a first time DUI conviction will automatically result in a one-year suspension of all driving privileges. More than one DUI conviction will result in a permanent suspension of your privilege to operate a commercial vehicle. Truck drivers may also face a negative impact on employment as a truck driver if a DUI charge is reduced to a lesser offense of, for example, reckless driving because such a charge will still result in a reduction in the driver’s CSA scores under federal regulations and many trucking companies will not hire a truck driver with a record of ANY violations within a certain period of time. As a result, if you are a truck driver and receive a DUI, you need to contact Mr. Ferguson immediately in order to not only protect your license but your livelihood as well. Complete the form below to send your traffic ticket information for a fast, free ticket review. Note: The Law Office of Jason M. Ferguson, LLC will not distribute or share your information with any third party. (Georgia Traffic Ticket Defense Firm) at 1-706-780-5586 today!